Tinalley String Quartet has launched its second album on the DECCA Classics Australia label. Featuring String Quartets Opus 12 and 13 of Mendelssohn together with a collection of newly imagined songs featuring Australian soprano, Greta Bradman. The album was launched on Valentine’s Day at The Dome, Collins Street, one of Melbourne’s hidden architectural gems. 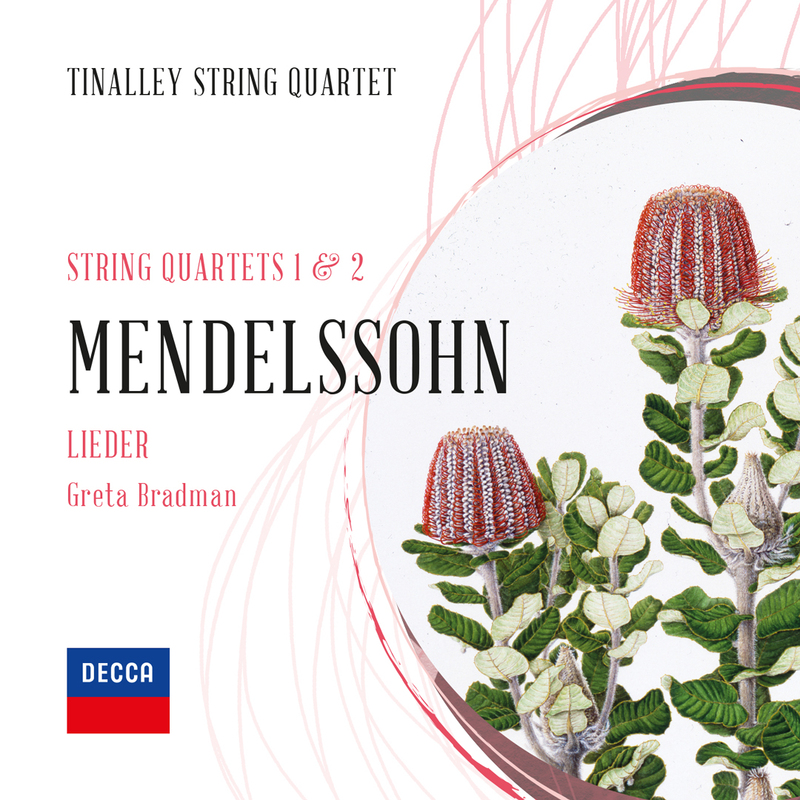 Tinalley has always felt a strong affinity with the string quartets of Mendelssohn, and having lived with the Opus 12 and 13 string quartets as a core part of our repertory for so many years, it seemed fitting that we would record the works on our second release for DECCA Classics Australia. In 2018 the Quartet programmed the Opus 13 Quartet together with the song ‘Frage’ by Mendelssohn, that served as inspiration for his Quartet. Tinalley collaborated with the acclaimed Australian soprano, Greta Bradman and composer, Calvin Bowman to reimagine ‘Frage’ from its original version for piano and voice, to a luscious new form for string quartet and voice. Following the collaboration, Tinalley had the idea to include Greta singing ‘Frage’ on the album, and if we were to have the talents of Greta and Calvin at our disposal, why stop at one song? Why not a collection of songs?! Australian soprano, Greta Bradman needs no introduction to audiences both at home and abroad as one of Australia’s most celebrated operatic and concert artists. Greta has sung extensively in the United Kingdom, United States, Europe and throughout the Asia Pacific. She has performed for world leaders from the UK, USA, China, India, Monaco and Australia; highlights include singing for Barack Obama, and a 2014 recital in St James’s Palace for the British Royal Family. Winner of the 2013–14 Australian International Opera Award and the APRA/AMCOS Award in 2013, Greta is a Helpmann Award and ARIA Award nominee. A registered pyschologist, Greta sits on advisory boards including those of the Australian Mental Health Prize and the Arts Wellbeing Collective (AWC), and is also known to Australian music lovers as a regular presenter on ABC Classic FM. 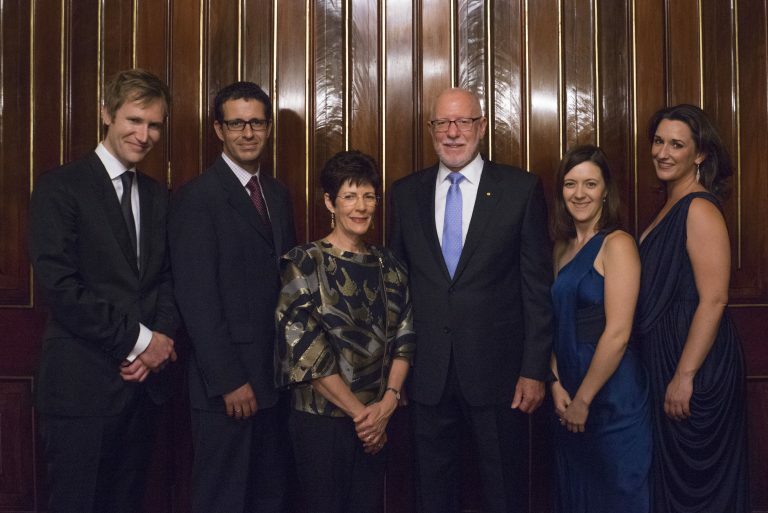 Australian composer, Calvin Bowman is renowned as an organ soloist; accompanist; chamber musician and composer. A proponent of the Artsong, Calvin is a laureate of the Ned Rorem Award for Song Composition, the Diana Barnhart American Song Competition and the English Poetry and Song Society Artsong Award. Calvin is an exclusive DECCA/UMA artist and was the first Australian to graduate with a Doctor of Musical Arts from Yale University with the assistance of a Fullbright Scholarship. Designed by Tinalley’s Creative Director, Christie Brewster, the album cover features the artwork of Australian botanical artist, Celia Rosser. Ms. Rosser is renowned worldwide as an expert in illustrating the hundreds of banksias unique to Australia. A passionate music lover, Ms Rosser and her son, Andrew regularly host numerous music recitals in their studio at Fish Creek in the South Gippsland region of Victoria. Tinalley String Quartet performed at the studio in 2009 and we are thrilled to have featured Celia’s artwork on the cover. Tinalley String Quartet has launched a new Pop-Up Concert Series. The Series will see Tinalley ‘Pop-Up’ in unique venues around Australia, with limited notice, playing beloved repertoire and new, rarely played works … and all the concerts will be free! In a time where technology rules and our lives are consumed by deadlines, Tinalley invites you to switch off the mobile … clock off for 45 minutes … escape the workplace and immerse yourself in the power and intimacy of live music. Together, we can discover new spaces; deepen community connections; explore unfamiliar music and be enthralled by beloved classics of repertory. Catch up with a friend, bring a work colleague or come alone and let the music be your companion. All Pop-Up Concerts will be advertised 3-4 weeks out from the event on social media and Eventbrite. The Series will launch on October 11, 2018 at the magnificent Chapel at Trinity College, Parkville and feature two works, Mendelssohn’s Opus 13 Quartet, a work of fervent passion and operatic proportions and Arvo Pärt’s ‘Fratres’ for String Quartet. At this particular event, Tinalley will invite patrons to make a donation to Drought Angels to assist drought affected farmers in NSW and QLD. Further information, visit the Eventbrite page.